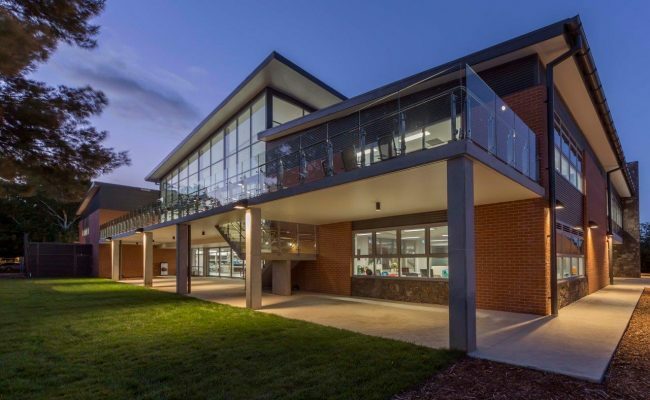 With support from the ACT Block Grant Authority, Brindabella Christian College (BCC) embarked on an adventurous journey for their Lyneham Campus. SQC Architecture developed a masterplan, which allocated several locations for future development. One of these was for a new Junior School building. 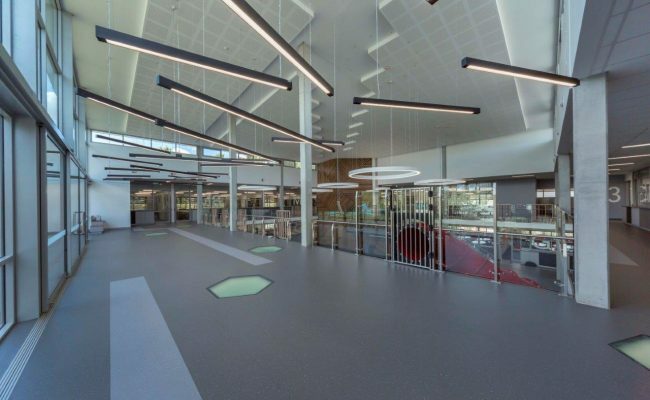 BCC and SQC Architecture developed the design brief, which provided a plethora of spaces including 15 Classrooms, wet area learning spaces, a large communal space and dedicated staff areas. 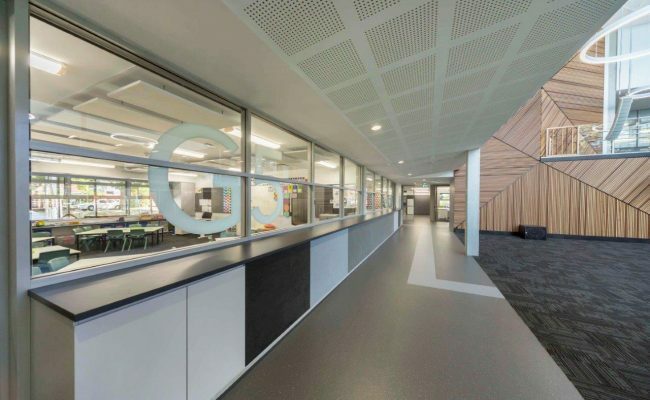 It was important for Brindabella Christian College and SQC Architecture’s design team that the new building had its own identity but also showed clear connection with the site and the existing buildings. 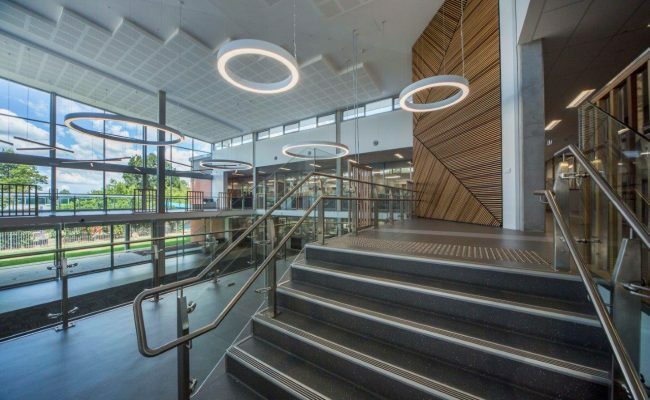 The master plan for the Brindabella Christian College campus was developed to ensure a cohesive approach to the development of the campus into the future. It’s intention was to allow BCC to keep growing, and keep providing the high quality education they have been known for and carry it forward into the future. The first stage required for a new purpose build, Junior School building, which was to become a corner stone to the campus. It’s anchoring ability would allow BCC to engage with, and be part of the Community. 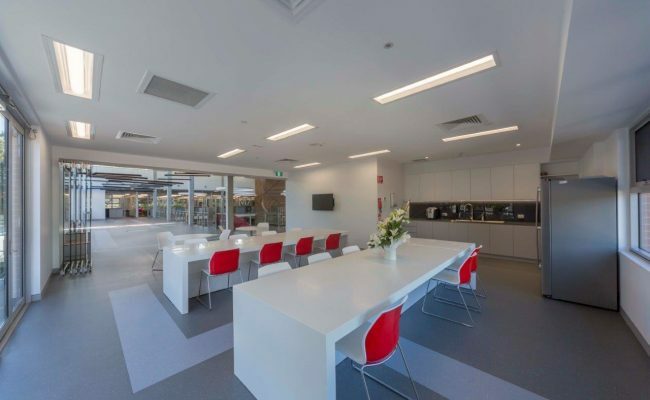 At the start of the Junior School project, SQC Architecture collaborated closely with the BCC board and progress committee, and created a strong cohesive design response for the allocated site. 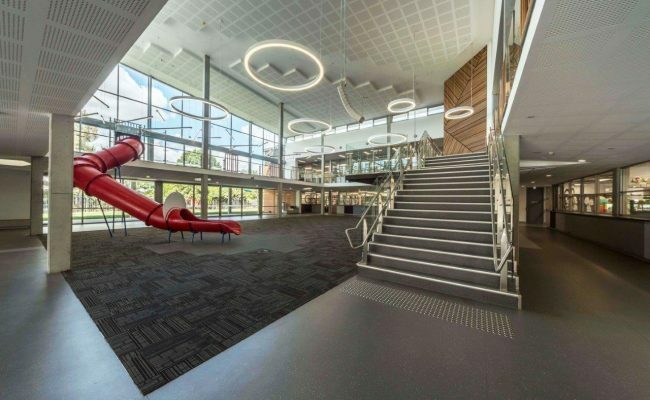 Achieving not only a cost effective building, but also a building that would provide a fun and inspirational space for learning. 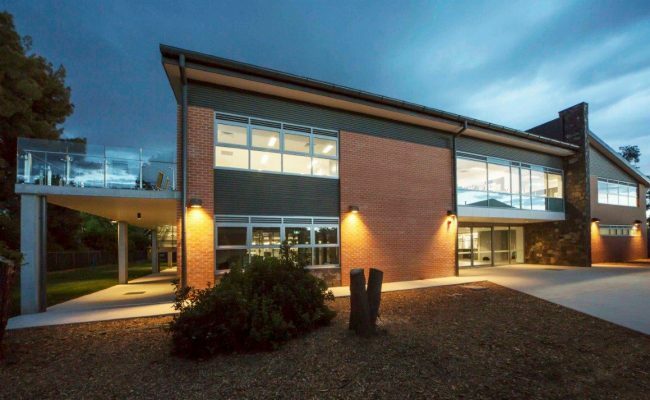 The design concepts for the Junior School have a solid footing in the quality of Christian education BCC delivers, from quality learning environments. 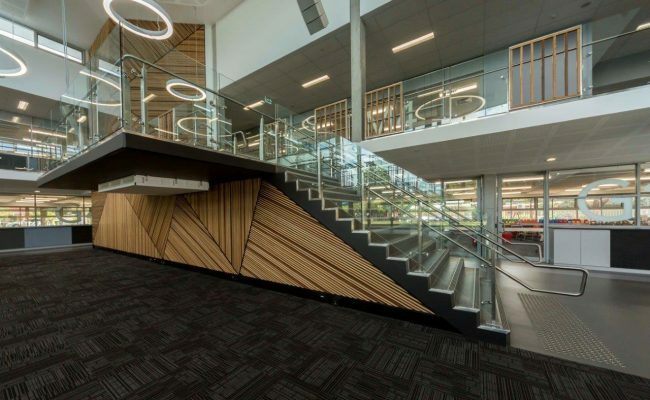 The schools interior and exterior incorporates many materials that are found across the campus, allowing the building to become part of the greater BCC campus fabric. Inside, a ‘slippery slide’ has become a symbol for many things, including a reference to the school identity. It also embodies the openness and joy to which BCC’s students enjoy their time at the college. Another component showing this whimsical interaction with the student population and the community is the shade screen to the north and west façade. 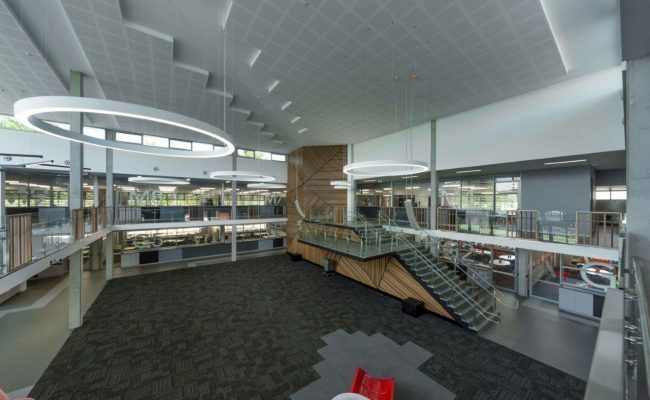 It integrates the ribbon symbol of the Brindabella Christian College logo, all the while providing shading, privacy and character to the building and its inhabitants.